The Dubai Police added this car to the fleet in order to compete with the high-powered exotics on the streets that roam the dry, opulent emirate. 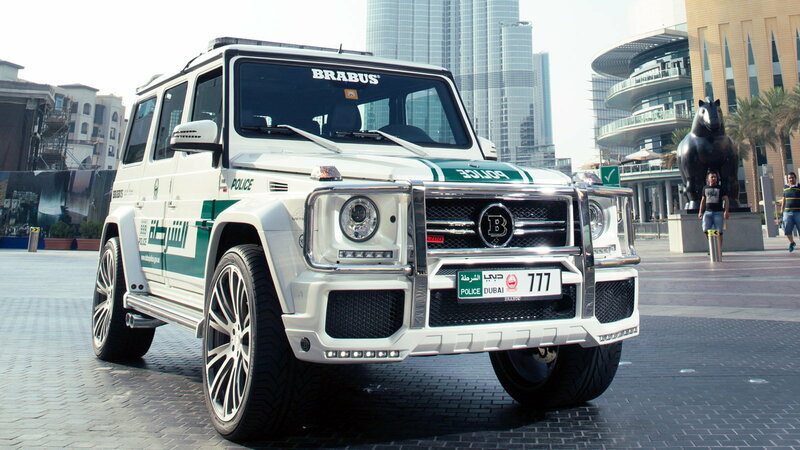 The Dubai officers are piloting an upgraded version of the G63 sporting Brabus elements that give it 700 horsepower to make it a formidable opponent and worthy intimidation vehicle for the law. 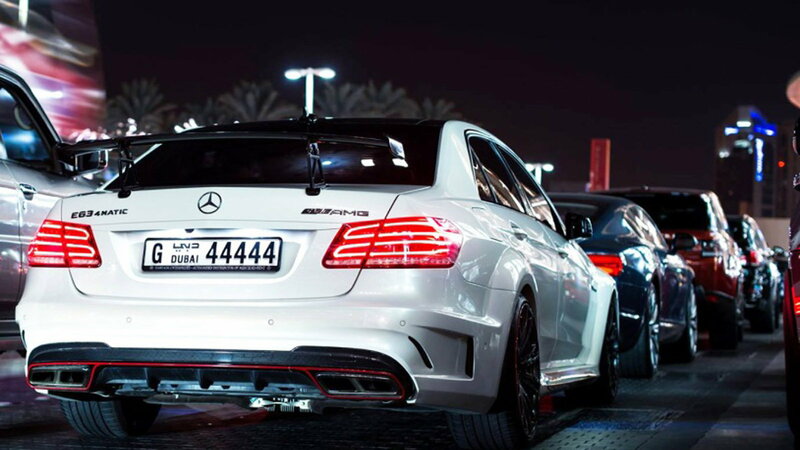 >>Join the conversation about Mercedes-Benzes in Dubai or other countries right here at MBWorld Forum! In a place where mass quantities of rain are not common, there is no surprise that when an epic amount of H2O falls there are bound to be casualties. 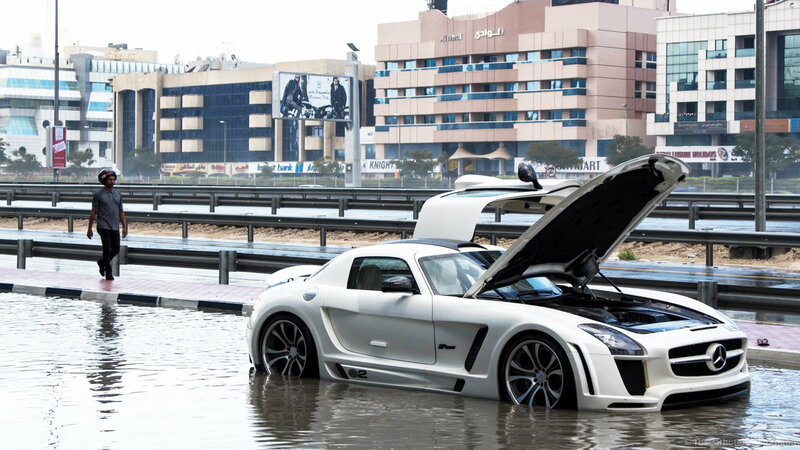 This abandoned SLS, outfitted by Fab Design with a Gullstream kit, was stuck in the water for about two hours. The SLS being left probably had to do with the engine mounted very low in the bay along with wiring and such that you do not want to have any contact with water. Are you really surprised to see one of these super rare cars in Dubai? Unfortunately, this example is neglected and forgotten, in what looks like a garage, collecting dust and grime. For those not familiar with the Koenig-Special W140, the differences go beyond the widebody kit and outlandish spoiler on the back of the car. The engine has been supercharged and is outfitted with a larger, more potent intercooler to keep things running nicely. The result of those changes and others pushes the car to 520 horsepower and 7010 lb-ft of torque. The new S-Class Brabus Rocket 900 is a really beautiful automobile that walks the tightrope of being audacious and still sinfully fun. The interior of the car is outfitted in the same motif as the exterior, with black and gold playing off one another to create a vehicle any rapper would love to own. However, when it comes to the performance mods in the vehicle, you'll understand the part of this car being called "Rocket." The car puts out an outstanding 900 metric horsepower, the 900 in the name which converts to 887 ponies for us in the states. The torque is electronically limited to just 884 lb-ft of torque, not for lack of enthusiasm but more for the sake of engine life. For over 50 years the Pullman Mercedes limo has been responsible for being the transportation for dictators, icons, and even the Pope. 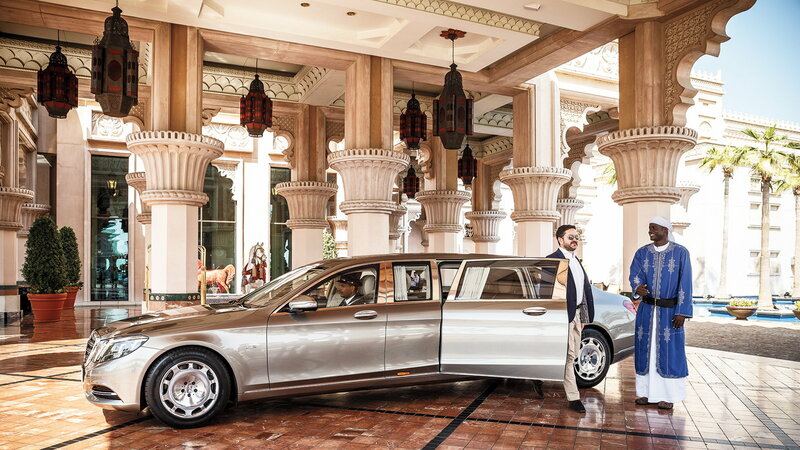 Now known as a Mercedes, the Pullman is a success in Dubai, and 70% of the inventory is owned by royals. Those who think the Pullman is just a stretched 600 Maybach are sorely wrong as the 256-inch long body is pressed out just like any of the other S-Class body variations in one piece. 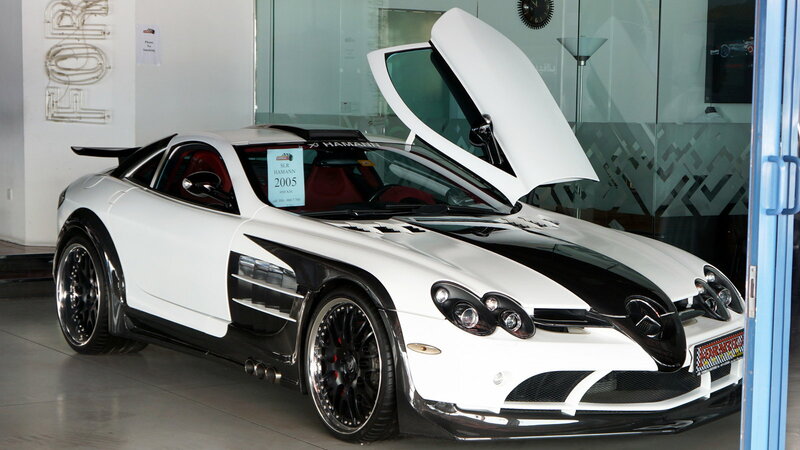 Seeing an SLR is pretty rare in itself, but to come upon a Hamann modified model is like finding a unicorn! Hamann took the stock supercharged 5.4-liter and boosted that output to 700 horsepower, which puts it at nine seconds faster than the standard model and even faster than the 722 edition. As for the Batman-Esque carbon fiber body mods adorning the SLR, they do their best to keep the car planted to the road and save weight while doing do. 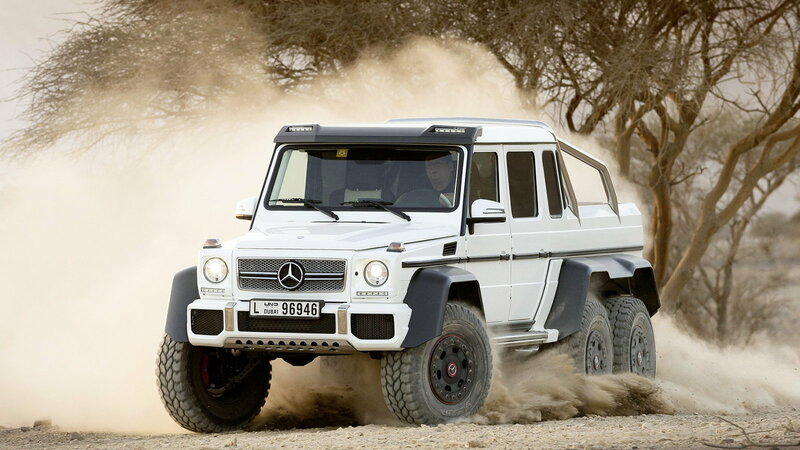 Here we have another G63 AMG, but this one is popular in the Middle East region and accounts for 41 percent of the global sales of the model alone. Car owners in Dubai are always on the lookout for how they can turn up the dial on their vehicles to one-up their neighbors. Sadly, if you want one of these for your own collection now, the final order deadline for this model variant from Mercedes-Benz was January 31st of 2015 which makes all existing versions very valuable. The AMG GT is the second sports car developed by Mercedes-AMG. Here we see that two owners decided that there is power in numbers by teaming up. These more sedate examples are probably so run-of-the-mill because the car is so new and there aren't a ton of aftermarket options yet for the vehicle. 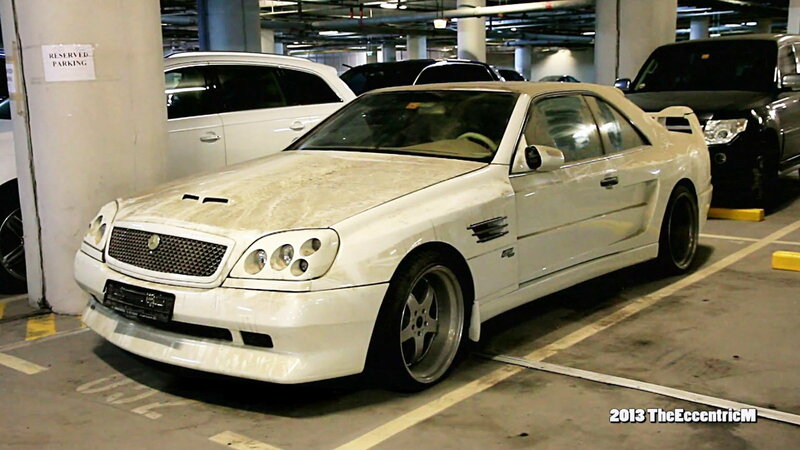 This car is a one-off custom build that the owner wanted to be the only Black Series E-Class on Earth. The owner doesn't say what is under the hood as far as further modifications to the AMG powerplant, but the kit itself is polarizing to say the least. For information on maintenance and repairs, visit our How-To section by clicking here.